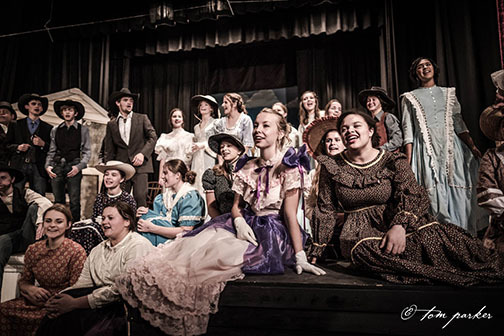 Three more days until opening night of the musical, Oklahoma, presented by the Valley Heights Drama Club. Dates are Friday and Saturday, November 10th and 11th at 7pm and Sunday, November 12th at 2pm. First come, first served seating. Free will donation to help offset costs. Saturday is Theater Alumni Night.